Manufacturing AUTOMATION is the authoritative voice in the Canadian industrial automation market. Our mission is to make our readers’ jobs easier by keeping them informed about the latest industrial automation technologies, trends, news and products. We are dedicated to providing relevant Canadian content that informs, educates, inspires and keeps our readers knowledgeable and up-to-date so that they can remain competitive in a challenging marketplace. 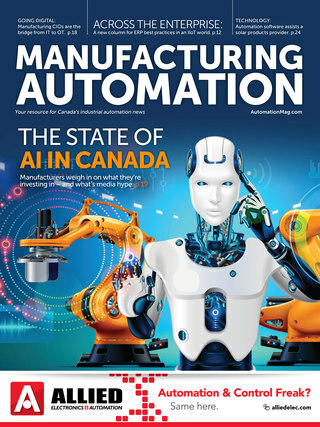 To learn more about Manufacturing AUTOMATION, and how your company can use our multiple media platforms - print, web, e-mail, video, events, email to reach manufacturing decision makers in Canada, please download our 2019 Media Kit.